The City’s early life pavement preservation program aims to preserve roadways’ asphalt surface while extending their service life. We’ve recently conducted pilot projects on specific roads with two preservation techniques, micro-surfacing and Reclamite. 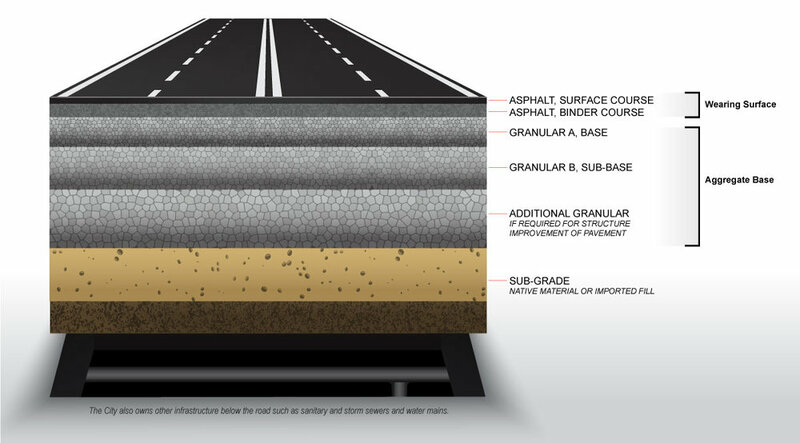 As a result, we anticipate a reduction in roadway maintenance costs and resurfacing construction. This will allow us to allocate funding to other needs throughout the City while minimizing disruption to residents and providing better roads. In a unanimous vote, Barrie City Council voted in favour of partnering with Tesla and the Barrie Downtown BIA to provide & operate 26 Tesla and 24 non-Tesla universal Level 2 chargers in Barrie's waterfront. 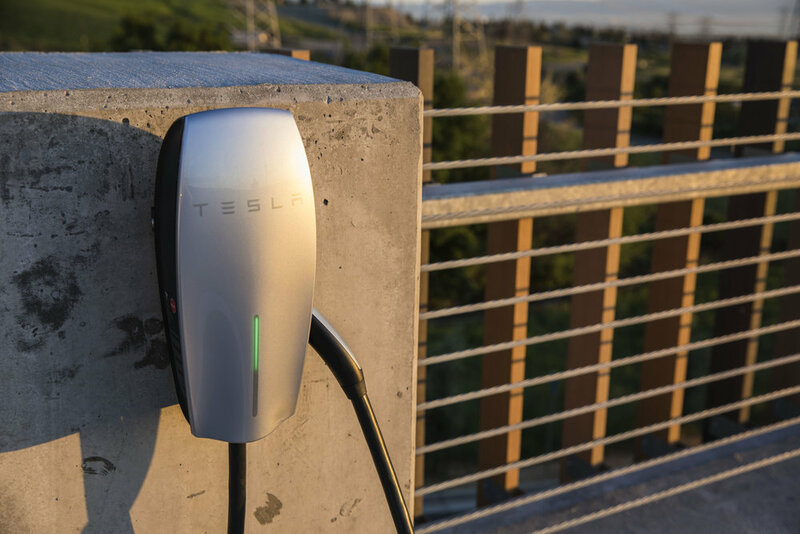 The partnership saw Tesla install 56 charging stations in strategic downtown locations, paying for the stations, installation, and signing over the rights of the stations to the city, giving property taxpayers almost $100,000 in cost avoidance. Recognizing that a charging station network will ignite the uptake of sustainable cars & inject the local economy with monies from visitors who purposely choose our city as their lunch or dinner spot because of this infrastructure network, the Downtown BIA has graciously committed to paying for the hydro costs of the stations. The City of Barrie is now has the most EV charging stations per capita in Canada as of Q1 2019. Any and all willing car manufacturer, car dealer, or donor interested in being a part of that vision can contact Councillor Sergio Morales at sergio.morales@barrie or Manager of Energy Barry Thompson at barry.thompson@barrie.ca to explore a partnership. WATCH BARRIE CITY COUNCIL AS THEY MAKE DECISIONS! Want to see Sergio, Mayor Lehman, and other councillors are they make decisions live at council? You can watch Council meetings Mondays at 7:00 pm EST on Channel 10 on Rogers. If you are not with Rogers, click here to stream the meetings live. In an effort to ensure Ward 9 residents are kept informed and have an ability to share their opinion on the applications, Sergio will be hosting public meetings for residents to attend, post details about the applications here, and meet with the developers and city planning staff to ensure the applications are appropriate, long-term growth suitable for the sites. 70 Dean Avenue 3-6-9 story rental building proposal (70 Dean Ave, between Painswick Library & The Terraces): Zoning approved, developer to submit site plan. Townhomes proposal for 521-527 Big Bay Point: Approved, details being sorted out at site plan. 681 Yonge St proposal (corner of St. Peter's HS): Proposal submitted to Planning Department, community meeting likely in Q4 2018. Mapleview land (between Mapleview & Seline, Phase 1): Proposal approved by Barrie City Council. Site plan will now begin to ensure a quality design built. Armel land (between St. Pete's & South GO Station): Proposal approved by Barrie City Council. Site plan will now begin to ensure a quality design built. The prolonged shutdowns allowed this project to be completed 3-4 months sooner than delaying it, and $100,000+ under what it would have taken/cost had we postponed it. Thank you for your patience! If you have any immediate questions regarding the construction, please contact the project's Construction Engineer Jeff Parent at jeff.parent@barrie.ca or (705) 739-4220 ext. 4362. The construction of Mapleview was the #1 biggest investment voted on by Barrie City Council in the entire 2016 budget, & main components of the 2017 & 2018 budgets. In February 2015, City Council approved the Affordable Housing Strategy (AHS), which provides a progressive plan to encourage, stimulate, and increase the supply and range of affordable housing options to meet the needs of Barrie residents, at all income levels and stages of life. Of the City & County’s goal to create 840 affordable units in Barrie by 2024, 441 have been created. As part of Sergio's commitment to Ward 9 during the campaign, he promised to publicly post his expenses in an easy to access manner. The communications budget every councillor gets is used to keep residents informed, and is not only something Sergio is proud to use in his goal of developing strong ties, but something he is proud to spend, and proud to show you. Aware of seniors on fixed incomes being vulnerable to inflation and rising costs, the City of Barrie created the Property Tax Deferral Program to ensure no senior should ever be taxed out of their home. Any property owner aged 65 or older and/or any individual who is currently receiving benefits under the Ontario Disability Support Program who has no outstanding property taxes can apply to have their property taxes “frozen” at their base year amount (the year prior to the application). The tax deferrals are interest free, however, the total deferral amount must be re-paid in full when the property is sold. Focusing on roads & growth, Barrie's 2018 budget was passed in January. Read the details here. The 2018 Budget we passed focused on infrastructure renewal and jobs, with the 1% Dedicated Infrastructure Renewal Fund increase being a continuation of last year's commitment to infrastructure, and the 1.75% tax increase on the operational side being the lowest increase since 2000. Making infrastructure the main focus of his campaign, Sergio has advocated for infrastructure investments in Ward 9 and throughout the city the last 3 years. In order to fund key infrastructure projects throughout our city, a new Dedicated Infrastructure Renewal Fund was approved in the 2015 Budget that is being used exclusively for the maintenance and rehabilitation of Barrie’s roads, bridges, stormwater drains, sewers, sidewalks, water treatment facilities and other infrastructure. This fund is allowing the City to do critically important work sooner, and move towards a “pay as you go” system where we rely less on debt by $90 million over the next 10 years, saving taxpayers $25 million in interest costs over 10 years. 12X more than the City spent before Council passed this fund. An east-west overpass over Highway 400 between Harvey Road and Big Bay Point is not just a want, but a long overdue necessity. Sergio has been a strong, vocal supporter of the Harvey Overpass Coalition from his first days on council, and received unanimous support in passing a motion at Council September 2015 that will see quarterly reports from engineering staff to council on the status of the project to prevent delays from occuring again, as well as a mandate to speed up the project. After years of political advocacy at speeding up land acquisition, utility relocation, and design timelines, Barrie City Council approved $60 million for the Harvie Road crossing of Highway 400 in the 2018 City of Barrie Budget, and work will begin in Fall 2018. Realizing Barrie needs a strategy for when EVs become more commonplace after finding out the city missed out on hundreds of thousands of dollars in funding to install EV charging stations because it wasn't on staff's radar, the goal of Sergio's motion is to make sure we are ready for any potential effects on the power grid, to know the best locations to install them, and to explore partnerships with Metrolinx and corporate partners to reduce or eliminate costs to taxpayers while providing the soon-to-be status quo of public infrastructure. With Barrie City Council getting hundreds of papers per week, many of those reprints of entire bylaws because one line is being changed, Sergio saw a need to keep up with municipalities and school boards around the country who have made the transition to secure, electronic paperless agendas. Approved by Council, Sergio's motion allows current councillors to transition to a paperless agenda and will be the status-quo for the 2018-2022 Barrie City Council. Moving forward, this motion means a more efficient, secure, environmentally sustainable agenda that saves taxpayers money. CITY OF BARRIE AWARDED ENERGY INTO ACTION INNOVATION AWARD & MAYORS' MEGAWATT CHALLENGE AWARD FOR ENERGY CONSERVATION, $1,200,000 IN SAVINGS SO FAR! Thanks to its Energy Management Plan and a newly established culture of conservation at Barrie City Hall, the City of Barrie continues to reduce its energy consumption & save taxpayers money. The City of Barrie was awarded the Energy into Action Innovation award for installing Variable Frequency Drive (VFD) controls on 6 ground water well motors, saving taxpayers $55,000/year in energy costs & will pay for itself in 3 years. The City of Barrie also received a Mayors' Megawatt Challenge Award for reducing energy use at the Allandale Rec Centre by 18.7%. So far, we have saved Barrie taxpayers $1,200,000 through 68 energy conservation projects/initiatives, a win-win for everyone. feel your assessed property value is unjustifiably high? challenge it. While Barrie City Council sets the tax mill rate, the assessed property value that is used to determine your taxes is set by the Municipal Property Assessment Corporation (MPAC), not the City of Barrie. If you feel your assessed value is higher than it should be, Sergio encourages you to submit an application to MPAC challenging your assessed property value, as the success rate among Barrie residents who challenge it is 40%. Create an account at AboutMyProperty with your MPAC assessment form and follow the prompts to submit your application. HOW CAN PING STREET HELP ME REPORT AN ISSUE TO BE FIXED? Ping Street is a free smartphone app that lets you take a picture of a pothole, broken stop sign, or any other issue, add an explanation, & submit a work order for the city to follow up on! Simple, convenient, & traceable (you can get a copy of your submission emailed to you), Ping Street is the best way to submit an issue in Ward 9 or the city and have it followed up & resolved in a matter of days! Sergio believes that a city councillor should be not only an effective representative at city hall that gets you results, but also an active member of the community. Whether it's a ribbon-cutting for a new business, a community fundraising event, educational opportunities, or a recognition of a local community group, if he can be there, Sergio will be happy to attend! Email him event details at sergio.morales@barrie.ca. HAVE A SUGGESTION FOR CITY COUNCIL? Ever thought of an idea that you felt the city should pursue, but you didn't know how to convey your idea to the proper person to see it become a reality? The City of Barrie has created a suggestion page where you can submit your idea for your Barrie neighbours to see & vote on. All ideas that get 500 votes will be reviewed by the city, followed up with, & brought to council's suggestion.